We did this tune to give to all our fans for their new years sets. 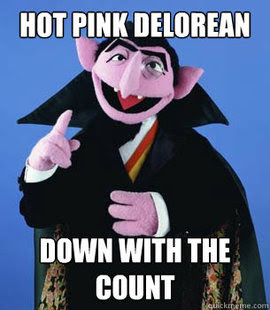 Count down to 2012 with Hot Pink Delorean and your boy Count Von Count!!! SEE YOU ON THE DANCE FLOOR IN 2012!